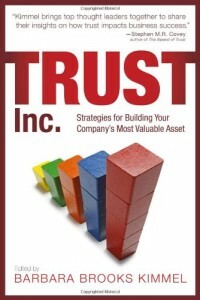 This blog writes about matters of trust: usually from the perspective of the one who would be trusted or trustworthy. What about the flipside; when we ourselves are the ones doing the trusting? He cites a new book, a recent Wall Street Journal article, and his own honest assessment that some of the potentially manipulative techniques outlined in the book are indistinguishable from the techniques that might be used by someone acting as a true trusted advisor. Comments on David’s excellent posting are also worth reading. I want to sharpen the issue and add my two cents here. As David puts it: how susceptible are we to those with high skills and low motives? What can we do to make ourselves less susceptible—less likely to trust the untrustworthy? There are basically two generic solutions—you can see them played out in the comments to his post. One lies in exploring the other person, and one in exploring ourselves. The first examines the other’s motives. Put simply, what’s in it for the other guy? If the answer isn’t clear, ask questions; if they’re not forthcoming, ask why. If the answer is too good to be true, it probably is. And so forth. The second solution lies in understanding ourselves—especially our weaknesses. What are we afraid of not getting, or of losing? What are we unconfident about, or threatened by? Self-knowledge improves our gut instincts, but even more helps us listen to the gut instincts we already have. Mark Twain wrote about The Man Who Corrupted Hadleyburg—a 19th century version of Borat, holding a mirror to a town that thought it was incorruptible. It became thoroughly corrupted not because it was corrupt to begin with, but because it thought it wasn’t. Of course, when it comes to trust, there are no guarantees. Trust lies in that interesting territory between blind faith and calculated risk-taking.